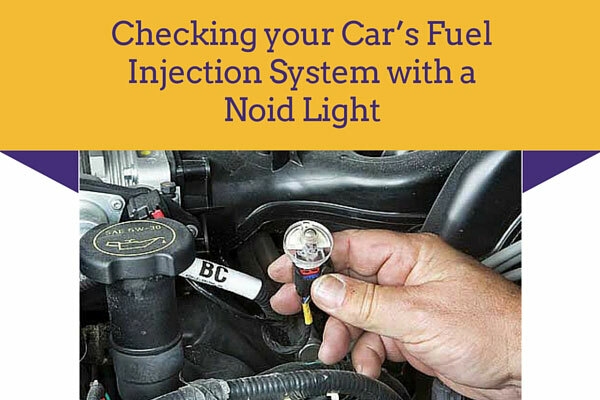 There is a simple way to check if your car’s fuel injection system is working or not: use noid light. A noid light is basically a little incandescent bulb in a small socket and has an end that looks like small pins. You plug the pins directly in to the wiring leading to the fuel injection system. It is commercially sold in many car accessories stores. You can buy it for as low as $10. Basically, you’ll just using the noid light instead of the connector. You’ll pull out the connector off the injection system and then plug the noid light to the injector. Now crank the engine. If the noid light turns on when you crank the engine, it means that the car’s computer is functioning well – the car’s computer is sending voltage to your fuel injection system. If the noid light doesn’t light up when you crank your engine, it means that there is problem with your computer. The injector is vital in the functioning of your car. The most common reason why cars fail to start is because of problems with the injection system. Using a noid light will help you diagnose easily if there the problem your car is experiencing is coming from the fuel injection system.